A newly married Filipinos were suddenly killed when they honeymooned in the Maldives. 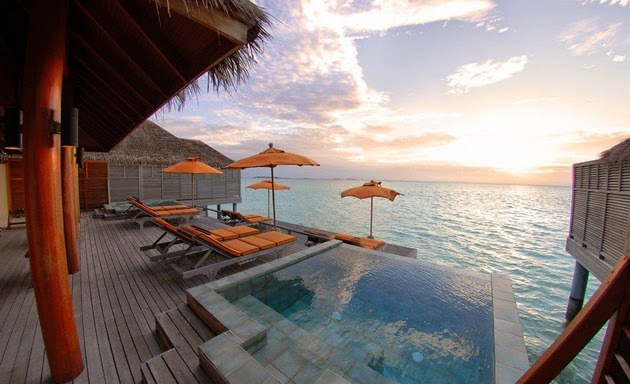 Maldives is the perfect place to honeymoon for couples looking for a romantic vacation. A romantic honeymoon in Maldives is not too far-fetched if you know the situation of travel – accommodation on the island. However, in recent years, many couples after marrying have experienced painful accidents in their honeymoon. Recently, a Filipino couple were unfortunately killed when they went to the Maldives to enjoy their dreamy honeymoon. ABS-CBN channel reported that Mr. Leomer and Ms. Erika Joyce Lagradilla celebrated a great ceremony before relatives and friends on December 18 after more than a decade together. On January 11, they set out on the island to travel to Maldives to enjoy their dream honeymoon. Sadly, they encounter the tragedy of their life on the island paradise when they die while snorkelling off the island of Dhiffushi. Sofar, the two victims’ families still do not know exactly what happened to them. On January 13, local news agency RaajjeMV reported that the couple was confirmed dead as soon as they were taken to the hospital. A source from the scene said Leomer was drowned first while Erika was asking for help. “However, when someone brought the boat to help, they were immobile and floated on the water” – quoted RaajjeMV’s information. The Philippine embassy in Dhaka cooperated with the authorities and arranged to help bring the ill-fated couple to their homeland. Earlier, Mr. Leomer’s family and friends and Erika together called for more than 1 million pesos to be raised.